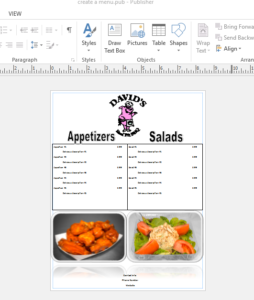 5 Simple Restaurant Promotion Ideas That Work! Radio? TV? Newspaper? No way, I’m going to talk about 5 restaurant promotions that work! How do I know? Because we have used them time and time again with success. These are ideas that you can implement with a week’s time and start seeing more traffic coming in your restaurant soon after. One of the best restaurant promotions we have used to get more dining room traffic as well as grow our customer database is a giveaway. People love getting stuff for FREE! The bigger the prize the better response you will get. When we first started dabbling with direct marketing one of the first promotions we ran was a giveaway to correspond with our anniversary month. We gave away a $400 gas grill! We even put it together and let it sit in our dining room on display. Talk about getting some attention! The customers loved it and everyone wanted to win. At this point in time we were just starting to build a customer database so we used the contest for two things. First, we sent out a letter to our customers who were already on our database. Each letter had a unique “winning number” and we let them know they had to bring their number down to the store to see if they had won. We were also giving away other prizes such as food, t-shirts, gift cards, bottles of BBQ sauce. The least amount they could win was a small sandwich. That first year we recorded over a 20% response rate to that letter! We were around 1,500 contacts at the time so we drove an additional 300 visits to the store over those 3 weeks. Most of them spending money on top of whatever they won. The second thing that we did with the promotion was collect new customer contact information to add to our database. 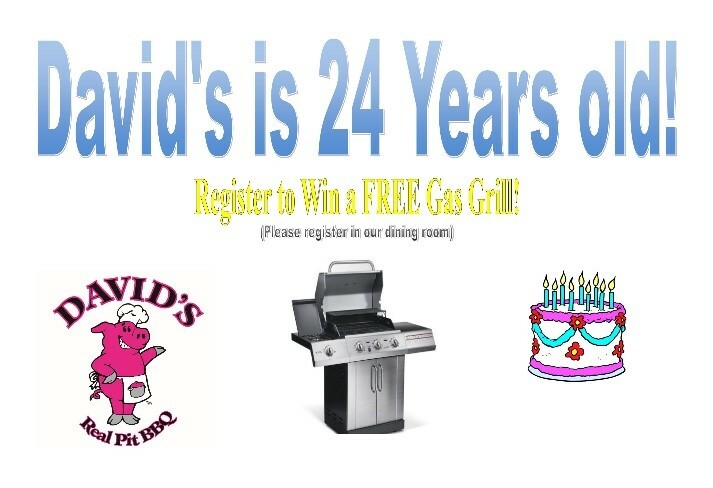 We left registration forms all over the restaurant so customers could sign up to win the grill. We also allowed customers to go online to register, this is the preferred method so you don’t have to pay someone to transcribe the handwritten forms. Customer’s everyday wanted to know if someone won the grill. It generated some real excitement. 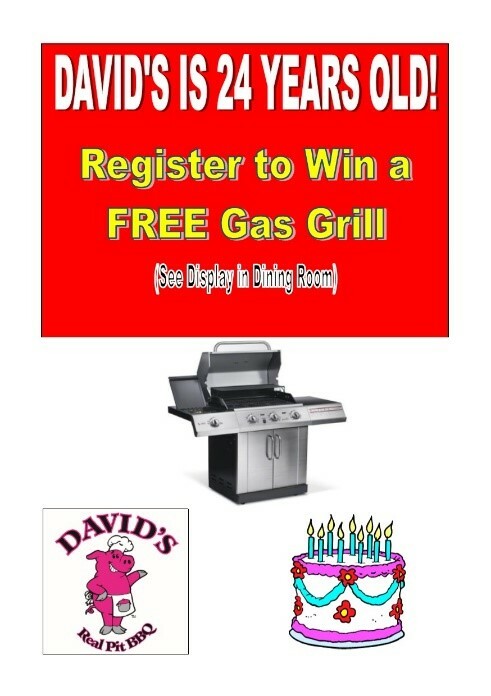 If you are following a long, technically we could have had to giveaway two grills, to someone if they brought in a winning number and to one that we would pick that signed up. Thankfully, no one brought in the winning number that year (they have every year since!) so at the end of the promotion we randomly selected a winner. They were stoked! Not only did we drive some awesome traffic (~about an extra 15 transactions per day) but we also collected over 2,000 names from the registrations! Our database went from around 1,500 to over 3,500 in less than a month. This was by far the most contacts we have collected for one promotion. Remember, the bigger your customer database the more customers can respond to your marketing materials. This is another restaurant promotion that works great for driving traffic and collecting customer contact information for your database. To start this promotion you will first need to purchase a list of home owners near year restaurant. There are several great data providers that can sell you this list. Don’t buy every name they have as you might not be able to afford to mail to every household in your area. 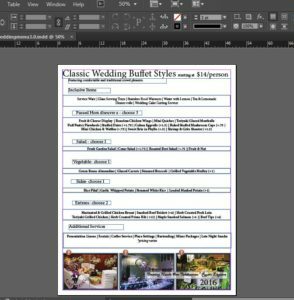 You will be spending $.50-$.75 per postcard or letter depending on how you design your mailing so keep that in mind when determine your budget and how many names you want to purchase. The next thing I would recommend, but is not necessary is to get a PO Box for the mailing. You can get one for 3 months for a pretty reasonable price. We used our office address and we had several people show up with their letters or knew it was us. Direct mail had over a 44% response confirming all of the information I was reading at the time! Anyway, at the end let them know they will receive a gift card from one of a few restaurants you can list on the survey. But obviously they will just get yours! 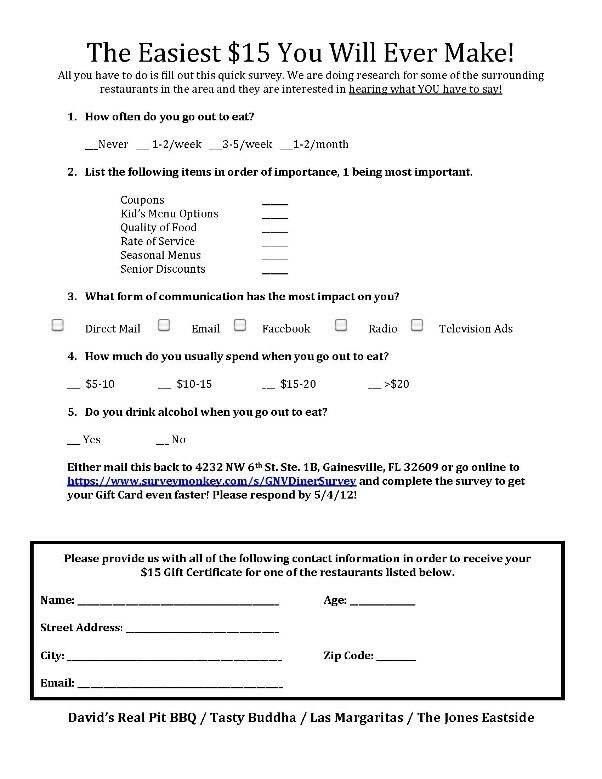 You can have them mail this back to you or like I mentioned earlier it is preferable to have them fill it out online. Survey Monkey is relatively inexpensive and you can export all of the contact information to excel. Once your response deadline has come go ahead and send them their gift cards! This is the second part of the promotion that drives traffic to the restaurant. For this restaurant promotion we sent out 1,500 letters and had a little over 600 people respond to the survey. The response rate blew my mind, over 33%! This leads might not be as qualified since they didn’t come into your restaurant but you at least know they like to eat! One thing you could do to qualify the list that we didn’t is have them circle any of the restaurants they like. Then as long as they circled yours you could add them to your database. 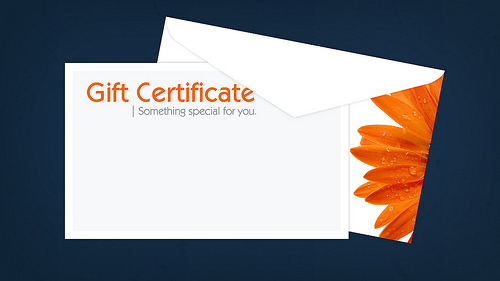 I would still send everyone a gift certificate though because you never know! This is another restaurant promotion that generates a lot of excitement (and maybe a little greed). You will want to schedule this for the month before one of your slowest months of the year. We have ran this in December and June. The idea is to generate additional sales in the next month (January/July for us) and it is very easy to execute. First, you will want to come up with a list of prizes. We mostly giveaway food or merchandise. However, we have experimented with bigger ticket items like an iPad to see if we would get a better response. It was nominal so we went back to just giving away food. Next you will need to have a printer print these prizes on cards with corresponding envelopes and stickers to seal the envelopes. I know that sounds like a lot but they can do it all. You can pay them to stuff them as well but it might be cheaper to have your staff do it during downtime. We would giveaway about 1,500 of these and get about 20% back in the slow month. Of the 1,500 about 1,450 would be small prizes like drinks, appetizers, desserts. There would be one grand prize then a handful of some bigger items like merchandise or catering packages. Your regular customers will appreciate this promotion. If you wanted to turn it into a collection device as well simply have the printer put a contact form on the back of the prize card and require it to be filled out completely for redemption. These are pretty standard and I’m sure you have seen them before. Because they work! We usually offer a 20% bonus so they get an additional $10 card for every $50 purchased. You won’t really see the payoff for this restaurant promotion right away since your customers will hopefully be giving these away as gifts. This promotion will generate sales and traffic down the road. It is great for cash flow though. We had one customer who would buy $2,500 worth of gift cards each December and July like clockwork! He owned a business and would hand them out to his staff and other vendors he worked with. We loved it though because it was a nice bump in cash flow during the slow months and the gift cards would trickle in as we got into busier months. I read about this restaurant promotion in a magazine one time but didn’t have the nerve to follow it exactly. It will definitely generate some good will with your customers. Every year on our anniversary we sell our food for 50% off for one day (the article I read gave it away for free). Each year it is probably the busiest day of the year, not sales wise because of the discount but traffic wise for sure. We have a line out the door from just before noon for pretty much the rest of the day. We always make sure we are heavily staffed and have tons of food ready. 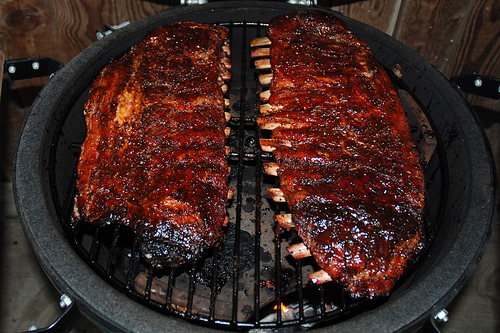 However we still run out of the popular items like ribs & brisket (we own a BBQ restaurant). I love this promotion because everyone that comes is in excited for the discount but they also like celebrating another year of success. It might also bring in some customers who haven’t been by in a while for whatever reason. You get a chance to speak with the regulars as well as meet new faces. It is also a nice tune up for your staff when they get hit what that rush! We also give away a portion of that day’s sales to a local food bank that does a lot of good work in our area. So we are basically giving away the food at costs but you generate excitement with your customers, donate to a good cause and you should see a nice bump in traffic for a few weeks/months after that day because of the goodwill you created. 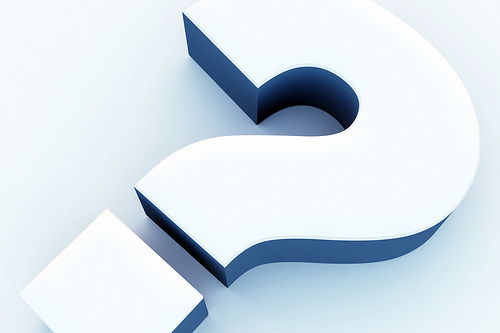 You now have 5 simple restaurant promotion ideas that work, what are you waiting for? I cannot guarantee you will see the exact results but I can guarantee you will see results from these promotions (hopefully better!). Like I mentioned above they should only take a week or so to implement, even though they might run longer than that. Give them a try and let me know how it goes in the comments below! Lots of helpful ideas here. Well done! This should help get people thinking and, hopefully, taking action!